Dr Anna Radzikowska is a graduate of the Medical Faculty of the Medical Academy of Warsaw. She has 20 years’ experience in obstetrics and gynecology, mainly in the field of pregnancy management, diagnosis and treatment of infertility, menstrual disorders, preparations for pregnancy and a complex gynecological management of women in families – from girls to 90-year-old women. Dr Radzikowska specializes in ultrasonographic diagnostics in the field of obstetrics and gynecology. She provides management of patients with problems in obstetrics and gynecology by monitoring the progress of the treatment using ultrasound examination. 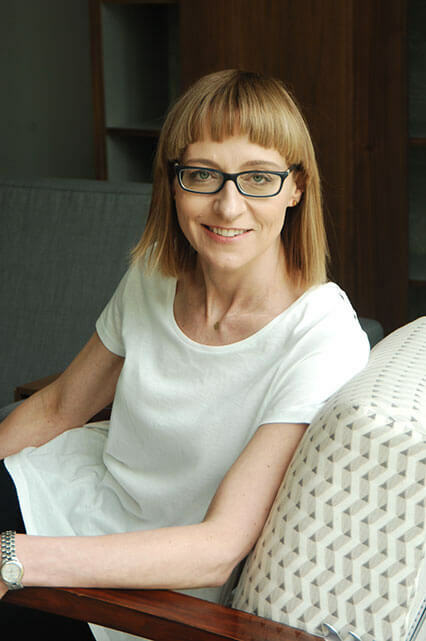 Since 2005 she has been a member of ISUOG (International Society of Ultrasound in Obstetrics and Gynecology), a founding member of the Polish Society of Menopause and Andropause, and since 2015, she has been a member of the Polish Society of Aesthetic and Reconstructive Gynecology. For many years, she has been co-operating with the specialist outpatient clinic for ultrasound diagnostics of fetal heart defects (Agatowa Ultrasound Clinic) in Warsaw. She also regularly participates in training courses and congresses as well as meetings devoted to the main areas of professional interest.